The officers of PGDAV College had issued PGDAV College Recruitment 2018 notification for hire talented and capable candidates. So aspirants who are waiting for PGDAV College Recruitment 2018 notification those immediately apply for Administrative Officer, Librarian, Sr. Technical Assistant (Computers), Semi Professional Assistant (Library), Assistant, Junior Assistant posts because of there are only 12 vacancies. The officers of PGDAV College had released the PGDAV College Recruitment 2018 Notification on 23rd January 2018. The authorities also released the last date that is 15th February 2018 for submitting the application form. The job seekers are interested to apply for these jobs must know details about eligibility criteria such as Education Qualification, Age Limit, Salary Details, Application Fee Details, Selection Process, etc. These aspects are mentioned in the article in a clear manner. So candidates go through the complete article and capture entire details about PGDAV College Recruitment 2018 notification. 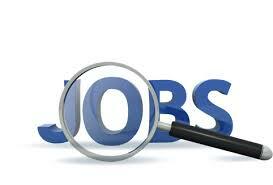 The job searcher who interested in working with PGDAV College those gets a good opportunity. The authorities of PGDAV College ready to recruit hardworking and interested applicants to fill up 12 Administrative Officer, Librarian, Sr. Technical Assistant (Computers), Semi Professional Assistant (Library), Assistant, Junior Assistant vacancies. For that purpose, the officers had published PGDAV College Recruitment 2018 Notification on 23rd January 2018. The SC, ST, PwD and Women applicants don’t pay application fee but the UR/ OBC aspirants pay Rs. 250/- application fee at the time of submitting the application form for PGDAV College Recruitment 2018 through online. Aspirants who have to apply for PGDAV College Recruitment 2018 of Administrative Officer, Librarian, Sr. Technical Assistant (Computers), Semi Professional Assistant (Library), Assistant, Junior Assistant posts those must face the two levels of the selection process for getting the job in PGDAV College. The selection levels are Written Exam and Personal Interview. We have to provide the Syllabus details as early as possible and give the Syllabus link in this article. So contenders stay tuned our web page SarkariRecruitment.com or the official web portal of the PGDAV College for knowing more details about PGDAV College Recruitment 2018 as well as Syllabus details also. From this article, participants get complete information about PGDAV College Recruitment 2018 in a clear manner. So applicants can check the article until the end capture entire information about PGDAV College Recruitment 2018 Notification without any delay. The education qualification is different for an evrey post which is explained in the below section with the neat explanation. Aspirants who had applied for Librarian post those can submit the application form through offline mode that means post application form through the official postal address of the PGDAV College. Candidates stay tuned to our web page or the official web portal of the PGDAV College for knowing more details about PGDAV College Recruitment 2018 notification. Sr. Technical Assistant (Computers): MCA or M.Sc. (Computer Science/ IT) from a recognized University/ Institute with one year experience or B.Tech./ B.E. (Computer Science/ Information Technology/ ECE) or equivalent degree with one year experience in relevant area. Semi-Professional Assistant (Library): Graduate in Arts/ Science/ Commerce or any other discipline or any other higher qualification with 50% marks. B.Lib.Sc/ B.L.I.Sc with 50% Marks. Course in Computer Applications at Graduate or PG Level or 6 months Computer course from a recognized institution. Assistant: A Graduate from a recognized University in any discipline with working knowledge of computers, and Diploma/ Certificate of minimum 6 months duration in Computer Applications/ Office Management/ Secretarial Practice/ Financial Management/ Accounts or equivalent discipline. Junior Assistant: A Senior Secondary School Certificate (+2) or its equivalent qualification from a recognized Board/ University/ Institution with at least 50% marks. The Age Limit for Administrative Officer, Librarian, Sr. Technical Assistant (Computers), Semi Professional Assistant (Library) posts is 35 years. Age Limit for the Post of Assistant is 30 years. Applicants who apply for Junior Assistant those have 27 years. Age relaxation is applicable for all the vacancies. The age relaxation allows as per the guidelines of PGDAV College. The selection process having Written Exam and Personal Interview rounds. There is no application fee for SC, ST, PwD and Women applicants. Administrative Officer: Rs. 15600/- to Rs. 39100/- along with Rs. 5400/- G.P. Librarian: Rs. 15600/- to Rs. 39100/- along with Rs. 6000/- G.P. Sr. Technical Assistant (Computers): Rs. 9300/- to Rs. 34800/- along with Rs. 4200/- G.P. Semi-Professional Assistant (Library): Rs. 5200/- to Rs. 20200/- along with Rs. 2800/- G.P. Assistant: Rs. 5200/- to Rs. 20200/- along with Rs. 2400/- G.P. Junior Assistant: Rs. 5200/- to Rs. 20200/- along with Rs. 1900/- G.P. First of all, candidates open PGDAV College official web portal @ pgdaveve.in. Applicants click on the “Vacancy” option under Links Title which is available on the homepage. Hit the PGDAV College Recruitment 2018 notification link. Read the Information provided on the PGDAV College Recruitment 2018 notification. At the end of the notification, aspirants have to see the online application form link. Click on that link and enter his/ her complete details. Check the details once again and press the submit button. The Application form submits on or before the last date that is nothing but 15th February 2018. Candidates who apply for Librarian post those can submit the application form in offline mode. In the below, we had also provided the application form of Librarian post (For PwD candidates). The above information is enough for all the candidates who had applied for PGDAV College Recruitment 2018 notification of Administrative Officer, Librarian, Sr. Technical Assistant (Computers), Semi Professional Assistant (Library), Assistant, Junior Assistant posts. Applicants associated with सरकारी रिजल्ट on our web page or the official web portal of the PGDAV College for knowing more details about the Result after completion of the Written Exam.